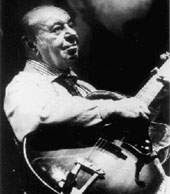 Today I like to focus on one of the few still active Jazz musicians in Germany, who had his first musical experiences in the 1930s, the guitar player Coco Schumann. Heinz Jakob Schumann was born in Berlin 1924 and as half Jewish he had to learn growing up really quick. The political situation in Germany during the 1930s dominated by Nazi restrictions against Jews made it almost impossible to survive. However, Schumann survived through his love for music. 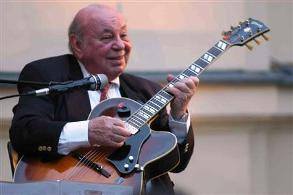 He heard the swing music played by Teddy Stauffer's popular orchestra in 1936, and soon he was hired as the band's guitar player for some time. This was followed by a period of hidden and forbidden appearances in bars and basements in Berlin, and finally by denunciation, arrest and kidnapping to the concentration camps Theresienstadt, Auschwitz, Dachau. He only survived with the help of his music, weather as part of the 'Ghettoswingers' in Theresienstadt, or when he was forced to play the song 'La Paloma' for the twentieth time in Auschwitz. 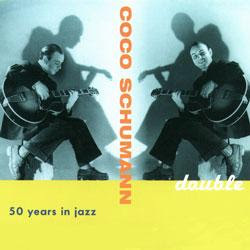 After the war Coco Schumann reconnected with the Jazz-Scene, he played with Helmut Zacharias, became the first German musician with an electrical guitar, finally immigrated to Australia and then came back after a few years. 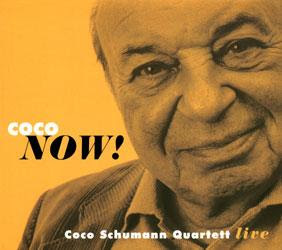 Coco Schumann never categorized his music strictly and also had no problems with more common forms of music.